Amy’s Animals is a canine and feline holistic health food store located in Sussex County, New Jersey. We are dedicated to educating the community on the very best nutritional foods and treats available for maintaining optimal pet health. Hello! We’re Amy & Rich Fiumarelli, and we would like to welcome you to our Amy’s Animals family, where we really care about the health of your pet. We work hard to make sure that we can provide you with everything you need to keep your pet in tip top shape! I’m not only talking about the products we sell. 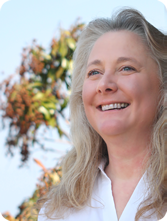 I’m talking about the information we can share with you about any new research findings, medical or wellness tips, or other tidbits that we’ve picked up in the 20 years I’ve been in the pet industry. All the information we provide is based on proven, factual research and also on anecdotal evidence. We have a passion for helping you learn everything you ever wondered about regarding your pet. Check out our facebook page, Amy’s Animals Holistic Nutrition Center, our website, Amy’s Pet Nutrition Center, and my blog, Amy’s Animals Holistic Canine & Feline Nutrition Center for plenty of great information and some fun pet articles! Also, sign-up to receive our email news..keep in the know, by being part of the Amy’s Animals Family. Join our Furry Followers and have a picture of your pet posted on our website! 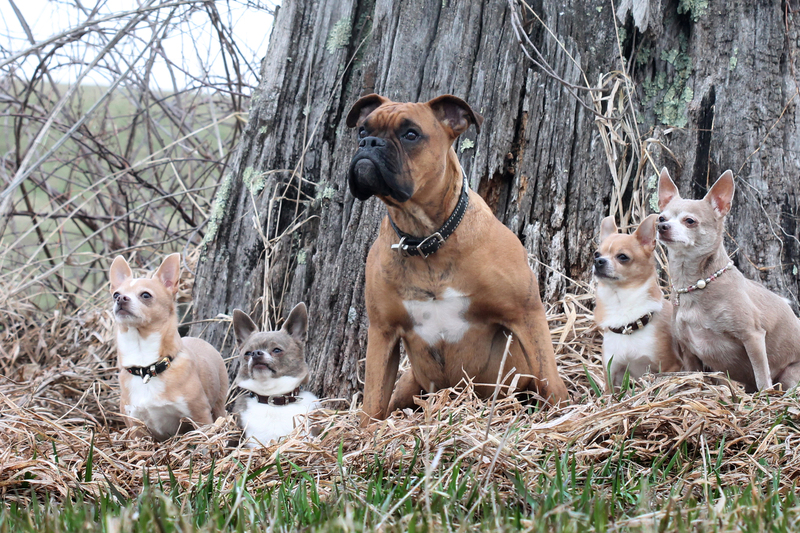 You’ll also meet our little pack. 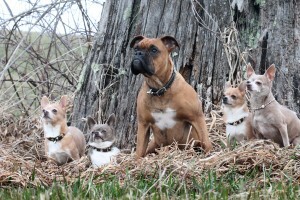 Clyde, our boxer, his chi-bee brothers Ollie, Ernie & Tyler and sister Ellie Crumbles. Be sure to check us out regularly. There is always something happening at Amy’s Animals! 1 Comment on Welcome to Amy’s Animals Family! 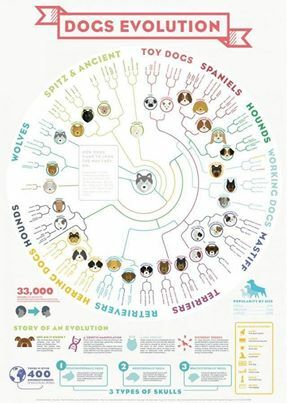 Dogs are not far removed from their wild ancestors. They share 99% of their mitochondrial DNA with the wolf. Some people argue that domestication has changed their physiology enough that they are now not made to eat the same diet as that of the wolf. Evolutionary changes in species take hundreds of thousands of years, if not longer. Studies of remains found in caves throughout the world have shown that the oldest traces of dogs were approximately 30,000 years ago. Even with the studies of those remains it is not known exactly what part the dog played in the interaction with humans. Were they companions? Were they simply scavengers? Or were they used as a food source themselves? One thing we do know is that upon examination of the domestic dog today, science has concluded that the domestic dog’s nutritional needs are the same as that of the wolf. A high meat protein, low carbohydrate diet is the ideal diet for most dogs. By feeding a diet that more closely resembles a dog’s natural diet you will notice many improvements in your dog such as, less shedding, shinier coat, cleaner teeth, less “doggie” smell and best of all, less poop! I advise people to feed the best food you can afford. By spending more on your dog’s food, you will have a much healthier dog. You will also lessen the chances of your dog developing some of the diet related health issues such as, skin conditions, hot spots & obesity to name a few. All inclusive frozen raw meat diets make it very easy to feed your dog the best nutritionally packed meal as possible. Grain free dehydrated and grain free kibbled diets are also great choices. For small dogs, grain free dehydrated or grain free canned foods are affordable and convenient. If you are going to choose a dry kibble or canned diet be sure to read the ingredients list. The first couple of ingredients on the list should be meat. Wheat, Corn & Soy should be avoided. No high quality dog food contains these grains. Artificial colors, flavors & preservatives should also be avoided. In the pet food market you truly do get what you pay for. Meat is much more expensive than grain, so a higher meat protein dog food will cost more than a poor quality grain based food. But remember, the higher the quality food, the healthier your dog is going to be! The same rules apply to the treats you give to your dog. Read the ingredients. Avoid any brightly colored treats. Avoid any treats that look like Play-Doh! These treats are FILLED with chemicals that contribute to poor health. Choose meat based treats whenever possible. You can also use frozen or fresh vegetables and fruits such as: Green beans, broccoli florets, Asparagus spears, baby carrots, peas, blueberries, raspberries, all make great all natural healthy treats. Meat that is cut into little cubes, frozen individually on a cookie sheet and stored in a bag in the freezer also make great treats. Dogs love them!! Just make sure to size them appropriately for your dog. This is a list of some of the ingredients to AVOID when shopping for food and treats: meat & bone meal, sugar, chicken by products or meal, sorbitol, corn syrup, poultry by products or meal, meat by products or meal, beef & bone meal, peanut hulls soybean mill run, wheat middlings, bha or, wheat, hydrochloric acid, ethoxyquin, ground yellow corn, corn gluten meal chicken liver digest corn meal, wheat gluten, soy flour, wheat flour soybean meal, animal fat, animal digest, corn, beef tallow, propylene glycol, ground wheat, and soy. So remember, don’t let the front of the package fool you! Turn it around and read the back. Your dog can’t shop for himself so he is relying on you to choose a diet that is going to keep him happy and healthy for years to come! Happy Shopping! 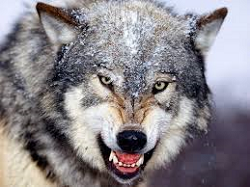 1 Comment on Dogs…Wolves that live in your house! Give the CAT a Bone! The Magical Properties of Mushrooms..more than just a pizza topping! Dog collars on Welcome to Amy’s Animals Family! 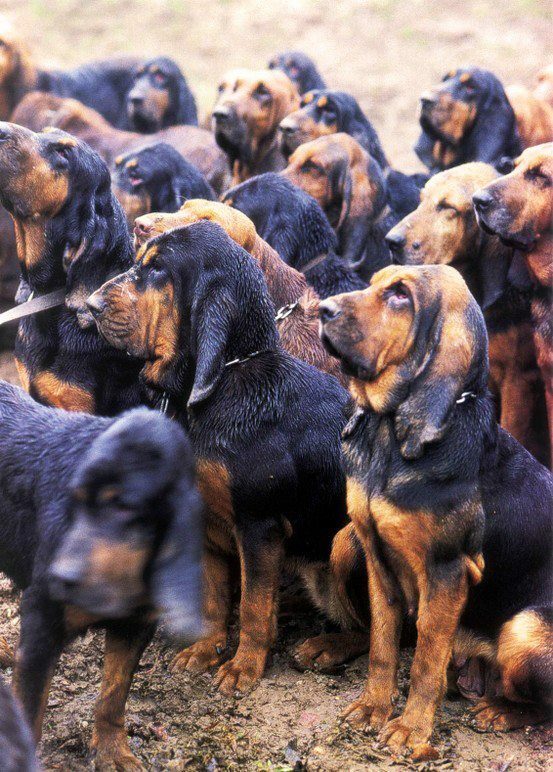 Joan on Dogs…Wolves that live in your house! Alex on The Magical Properties of Mushrooms..more than just a pizza topping! nirmaladevi2691 on Cats..The lion lurking in the living room!